Just bees and things and flowers. I should call this the Master Jam Of The Day because it is. This is the song that turned me on to becoming a DJ. 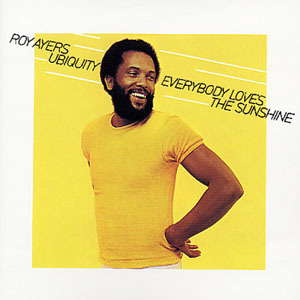 My friend Luis Martins introduced me to Roy Ayers many years ago and it’s been Uncle Roy ever since. I have 6 albums by this dude and all of them are amazing. If you dig soul sprinkled disco – Roy is your man. This will not be the last time you see Roy on Jam of the Day. Look him up. Check him out and enjoy the sunshine. This entry was posted in Uncategorized and tagged Everybody Loves The Sunshine, Jam of the Day, Lovecraft Tattoos, Luis Martins, Roy Ayers. Bookmark the permalink.